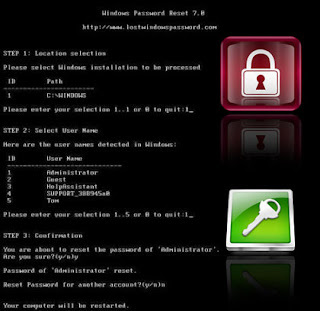 Hih software pen password mangngilh baih te adingin hoih hi. Zat tak cingn hi. Windows Admin leh a dang Users te i password a mang nilh te in hih software tawh Reset/Recover bawl thei hi. Folder sunga om ISO File pen CD tawh burn in Restart le teh olno takin ong lang sak kik hi. Password ciamtehh zolo te adingin hoih hi.